Your eyes are watery and you cough a lot lately. Is that a cold? Or a clear symptom of a mold allergy? It depends. Did you have these symptoms only when you were at home at first while later they became permanent? Don’t forget that not all people have the same reaction to mold and not all mold species are equally hazardous. Mold allergies mimic a typical cold but often the symptoms get worse without mold remediation. 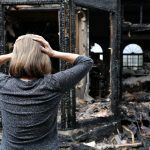 Without mold removal and health treatment, these first symptoms will only get worse. Respiratory problems might develop to pneumonia or permanent asthma. A simple rash can develop to serious infections. You might experience muscle aches, fever, and laryngitis. Why mold makes you sick? There are over 300,000 types of mold species. And most domestic ones are referred to as mildew. That’s gray or whitish mold in the shower tile grout. The most hazardous mold type is the stachybotrys chartarum – aka black mold. This one has a greenish-black color and is found in drywall, wood, carpets and other organic matters. 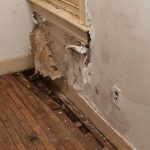 What’s the story of household mold? 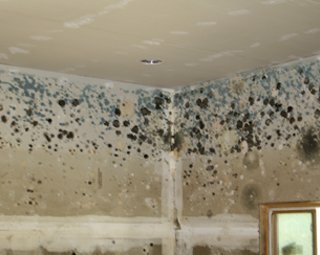 Water damage and condensation create the perfect conditions for mold growth. This type of fungus needs food (wood, fiberboard, paper, dust etc. ), heat, and moisture in order to grow. And then it releases spores which are much more resistant and travel in air. That’s bad news. The airborne spores will create new colonies when they find the right conditions. 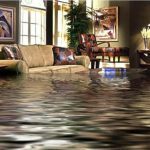 And so if your basement floods or there is a sewage backup, you will have more contaminated areas in the house. 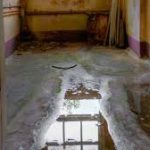 Without proper water damage repair, mold will coexist with you and continue to harm your health. It’s important to understand that typical household mold is already indoors but dormant till the conditions are created for it to thrive. And so when pipes break or you experience any kind of water damage, they wake up and take their toll on your health. Although most household molds are not toxic, black mold often produces mycotoxins which are harmful to your health. It’s crucial to remember here that the health hazards are not always the same and not to all people. Those who already have asthma and other respiratory issues will be affected more. Another thing to consider is that mold might be active for years. 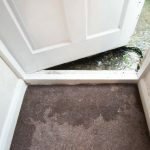 Lack of proper mold mitigation after water damage will keep the spores alive and thus your health will continue to deteriorate over a period of many years. People with weak immune systems will develop severe lung infections while all people will have a difficulty breathing. If you come in contact with black mold, you will have skin rashes. And so it’s best to have a Bay Area Restorations company remove mold from your San Jose CA house before your condition gets worse. Avoid coming in contact with the contaminated areas the same way you wouldn’t eat moldy food. Although not all household molds will make you sick, most of them will have some health effects. Now, the story of black mold is completely different since it can create serious health problems. Can these health issues be treated? Yes, they can. But why should you get sick if you can prevent health risks with immediate mold remediation after water damage!